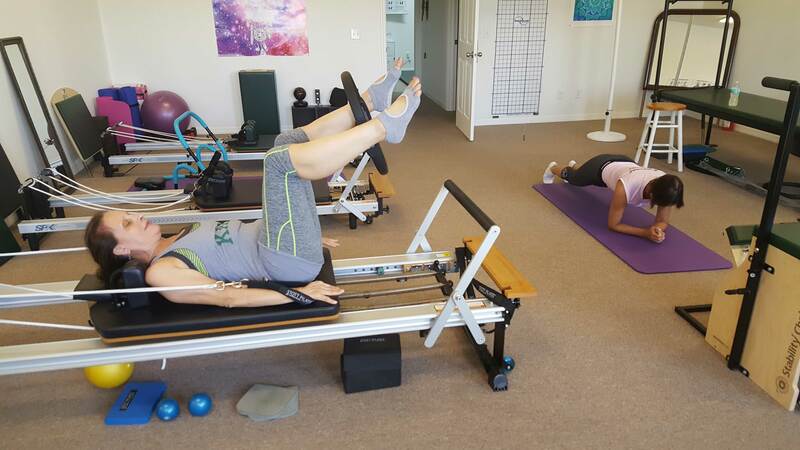 A highly efficient class combining mat exercises designed to train the body into lean and strong muscles plus the use of the Reformer which add the resistance through pulleys and springs to train the body's powerhouse, abdomen, stabilizers, lower back, hips, buttocks, arm and legs. TThis combination will help accelerate the process to reach your goals faster and more effectively. Two different schedules are set for your convenience: Mondays and Wednesdays at 5:30 pm or Tuesdays and Thursdays at 9 am. Space is limited to 6 people so please sign and save your space on a weekly basis.